The girls went back to school this week but I still have the Little Man at home until Monday. He will be going back to a brand new school building. He will also be starting swimming lessons with the school, twice a week for the next four weeks. I’m really pleased he will be learning to swim. I’ve never really had the chance to take him Swimming. So that’s two new experiences for the Little Man. I have started a new book this week, I’m now reading The Hoarder, by Jess Kidd. I’m a few chapters in and it seems a bit eerie. I’ve just finished Three Things About Elsie, by Joanna Cannon. I’m also on the finishing touches of my latest crochet project, a beautiful spring blanket, so I’m looking for something new. I did buy the wool for a summer shawl but now I can’t find the pattern, so frustrating. Half term is flashing by so quick. I’ve so enjoyed not having to rush around in the morning and just chilling with the kids. I think we may have chilled a bit too much though as we didn’t leave the house for five days! We finally had our day out yesterday, I’d booked us into a pumpkin carving session at a local farm. Good job it was local as I’d only gone and booked the wrong day!! So now we are pumpkin carving on Saturday instead. At least we have something to look forward too, again. As we were already at the farm I thought we’d take a look around. We’ve been meaning to visit for a long time, this farm is literally five minutes away in the car. We walked into the shop and I couldn’t believe how big it was, I mean it was as big as a supermarket. There was a huge fruit and vegetable section, a bakery, a butchers, a gift shop, loads of chutney’s and jams, biscuits, cheese, tea, coffee and a lot more! I bought cheese…lots of it, cheese with nuts, cheese with fruit, spicy cheese, blue cheese. All in small pieces, mind, just so we can try it out and go back and buy our favourites. I did buy a load of other stuff, but I wanted to get even more so I’m thinking we’ll be going back there again, probably very soon. We left exhausted, but happy. And my purse was a lot lighter. I think when we go on Saturday it will be for the pumpkin carving only, but me and the hubby are planning on another trip to that warehouse before Christmas. Despite my hopes and wishes the infusions I received last week have not worked. Not only that but I’ve had the most horrendous side effects and I have decided to not have the treatment again. I’m feeling frustrated that my treatment hasn’t worked and that I still can’t do anything. I’m frustrated with my son’s school teacher. He’s been having problems at school for weeks now. He was being bullied by two class members, they were actually punching and kicking him. The teacher said she has resolved this but my son’s mood hasn’t improved so I’m sure something else is going on. Every day he comes home and states that he’s been in trouble and has had a caution. The teacher told him off for fiddling with his fingers!! He’s also being constantly in trouble for disrupting the class, when he swears he only does it because the other kids won’t leave him alone. Something is going on and I need to get to the bottom of it. Which brings me to my next frustration. Despite calling the school and asking for meeting to discuss his problems they have still not arranged an appointment for me and it’s half term next week. 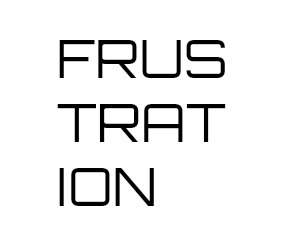 I’m also frustrated at home because nothing seems to ever get done. The housework is never up to my standards, but when I try to do more I make myself sicker. I look around and think, that needs doing, and that needs doing, but I can’t physically do it. I can ask others to do it but that’s not the point, I want to do it myself. It seems that no-one else sees it as a problem like I do and there is no rush to get things done, but I want to keep on top of things. I want to do it the way I used to. Can you hear my frustration?